Israeli army raided the village of Asira al-Qibliya (south of Nablus) at 1 am on 5 May, arresting a 21-year-old, brutally assaulting his uncle, and terrorising the family’s children with attack dogs. Dozens of Israeli soldiers invaded Asira by foot, sneaking in from the backside of the village. Asira al-Qibliya has now been raided for four nights in a row, with Israeli soldiers breaking into villagers’ houses and blocking off the roads to prevent anyone entering or leaving the area. The attack of 5 May was implemented according to a slightly different tactic from the previous ones: soldiers arrived quietly on foot from the backsides of the houses, using ladder to get through olive trees without being heard. They also took away mobile phones from the family members in the houses they raided, so that they could not tell their neighbours that an attack was in place and call for help. Some residents of Asira only found out about the attack the following morning. Three Israeli soldiers attacked 48-year-old Abu Suleiman, resident of Asira who was on his way back to his house. They beat him, kicked him, and hit him on the head with the back of their rifles. The assault lasted for an hour; soldiers then handcuffed the beaten man, blindfolded him, and sealed his mouth with duck tape. They then brought him under a fig tree in the back of his garden and tried to strangle him. Shortly after, they finally checked his ID and discovered that he was not the one they were looking for. At this point they also stole NIS 500 (£85, US $145) that was hidden in the man’s ID holder. When Abu Suleiman’s family found him, the Israeli army prevented them from calling an ambulance; the man was bleeding heavily from his head. Even after one of his relatives managed to reach an ambulance by phone, soldiers did not allow it to pass through for half an hour so that Abu Suleiman could get the treatment he was in desperate need of. Only later, having kept the man in pain for several hours, did the army finally stop obstructing the ambulance. 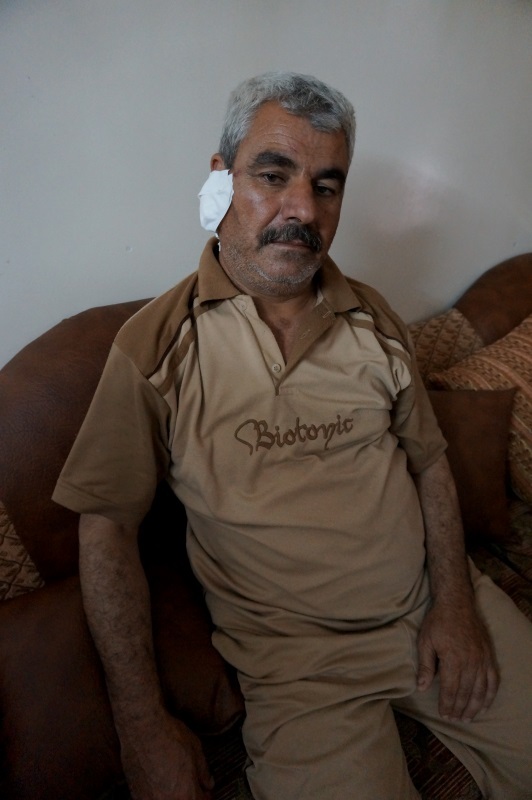 Today Abu Suleiman is painfully recovering in his home. At around the same time of the attack on Abu Suleiman, some 25 Israeli soldiers surrounded the house of his brother’s family, demanding the whereabouts of one of his sons; eight soldiers entered the house accompanied by two attack dogs which threatened the family’s young children. Soldiers refused to open the window to let some fresh air inside the locked room even after the mother’s appeals to do it for her son who was suffering from an asthma attack. When the 21-year-old they were looking for was not to be found, the soldiers instead brought his father and brother to their jeep parked near the village mosque. The army demanded the 21-year-old son in return of the two. When he arrived, soldiers arrested him. The young man has been arrested once before, two months ago, and severely beaten. As these last few days Israelis are celebrating their Independence day and have days off, the family has not yet heard anything about what happened to their son. 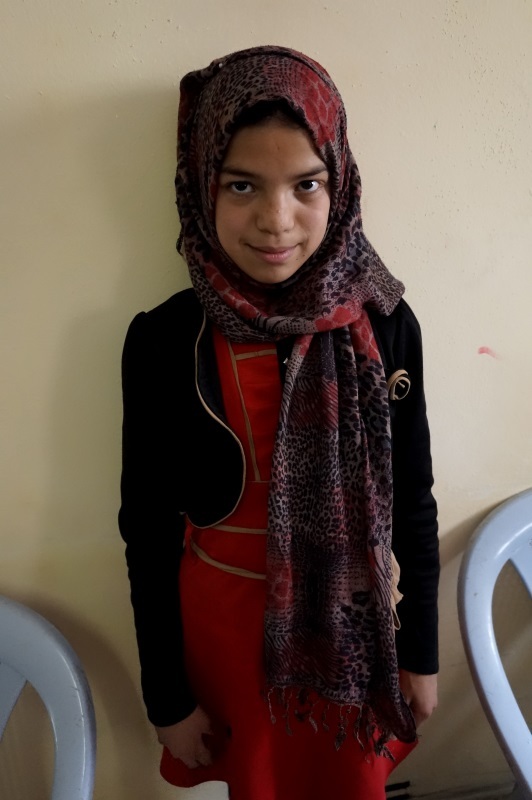 The 12-yearl-old who was threatened with an army dog inside her family home. The Israeli army brutally attacked this 48-year-old resident of Asira right next to his home, stole 500 shekels (£100, US $250) from his pocket and then prevented the ambulance from treating him.